The Alan Parsons Live Project played to a nearly sold out house at the historic Carnegie Library of Homestead Music Hall Tuesday night. That really shouldn’t come as a surprise. Parsons and his longtime musical collaborator, the late Eric Woolfson, beautifully crafted some of the most outstanding progressive rock songs of the 1970s and 1980s. Parsons’s career started at age 18 when he went to work as an assistant recording engineer at Abbey Road Studios and earned his very first credit on the Beatles’ Abbey Road record. He earned his first Grammy nomination for his work on Pink Floyd’s, The Dark Side of the Moon. Parsons also had his hand in successful recordings by The Hollies, Ambrosia, and Al Stewart. However, he and Woolfson wanted to create their own music and thus The Alan Parsons Project was begun in 1975. 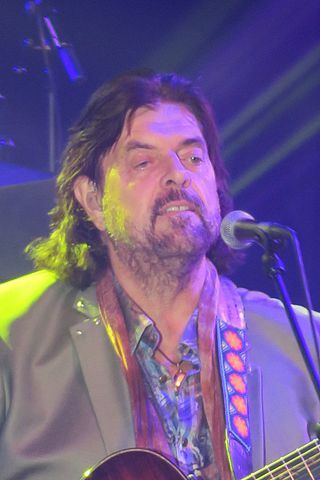 Parsons has been performing under the banner, Alan Parsons Live Project since 1999 after he and Woolfson went their separate ways. Parsons and band started the concert at the scheduled time of 7:30 p.m. and took the audience on a mesmerizing musical journey over the course of two hours. Almost 25 songs were played during the concert including the entire 1977 album, I Robot. I had a feeling this would be a good concert and went to it knowing that my two favorite APP songs were “Games People Play” and “I Wouldn’t Want to Be Like You.” During the course of the concert I remembered how many other great songs they had that I had forgotten about until hearing them played again. The stage was set up with a riser in the middle of the stage that Parsons performed on. Stage right of the riser was drummer, Danny Thompson, and in the parallel position stage left was keyboardist, Tom Brooks. Lining the front of the stage from stage right to left were Dan Tracey (guitar/backing vocals), Guy Erez (bass/backing vocals), P.J. Olsson (vocals), Jeff Kollman (lead guitar/vocals), and Todd Cooper (saxophone/vocals). Everyone of them a master musician in their own right. Almost everyone in the band contributed backing vocals which created some very pleasing melodic five and six part harmonies. “Psychobabble” saw the stage lit in red light and the song had a strong bass line running through it. “Time” is a truly beautiful song and one of the ones that I had forgotten about. Olsson’s strong vocals and the bands soft playing of the ballad lifted it higher. “Luciferama” was an all instrumental song that rocked with Parsons joining the rest of the players in jamming at the front of the stage. “Damned If I Do” was another hit that got the audience energized. In regards to the song “Limelight,” Parsons said that it was one of his favorites and that his late musical partner, Woolfson, could have easily been the one in the limelight, but instead he got it. For the song Parsons asked the audience to join in during the chorus by turning on their cell phones and holding them up to create a bevy of individual lights in the performance hall. Many did and it created an interesting sight. “My Turn Tonight” saw some great lead guitar runs from Kollman, furious drumming from Thompson, and super piano playing from Brooks. The rest of the band was strong in support. After that first set of songs, Parsons said, “‘A long time ago in a galaxy far, far away…’ we did an album called I Robot, and we were fortunate that it was the same year that Star Wars came out. We’re going to play it for you now in its entirety.” The crowd roared its approval. Parson and Brooks played the distinctive keyboard and synth opening to the still futuristic sounding song. “I Wouldn’t Want to Be Like You” soon followed. It had a distinctive keyboard opening as well, accompanied by fast, quick strumming of the guitar from Tracey and a funky foundation set by Erez and Thompson. Kollman had another strong lead run on his green Stratocaster, using the whammy bar to great effect. Parsons is a very generous band leader, most of the time he stays quietly in the background singing and playing his acoustic guitar and keyboards. He made sure to give praise to his band members on numerous occasions and let them enjoy a turn in the limelight. Several people in the band sing lead vocals on different songs. At one point in the show Olsson gave a very heartfelt intro to Parsons. “Breakdown” opened with a flute intro by Cooper, who during the song also contributed some sax runs. Additionally, it featured some amazing keyboard parts. The band encouraged the audience in a sing-along to the song during the “Freedom” parts. The pleasant ballad “Don’t Let it Show.” followed. For “The Voice” a violinist showed up in the aisle and started playing and jamming with the band. It was a nice surprise. The last two songs of the I Robot set were “Sirius” and “Eye in the Sky.” Pasons played the signature keyboard intro to “Sirius.” The song is used by some sports teams as an intro. “Sirius” leads into “Eye in the Sky” with Parsons on lead vocals for the song. The main set was over and Parsons and band walked off the stage to loud cheers, applause, and a standing ovation. After a few moments of applause Parsons and the band returned to the stage for a two-song encore. First was “(The System of) Dr. Tarr and Professor Fether.” Next was the song I was waiting to hear, “Games People Play.” Parsons and Olsson both contributed lead vocals as the band jammed at full throttle. Thompson frenetically played the drums as Kollman went off on another killer lead guitar run. Brooks wonderfully played the keyboard parts. Cooper, who for most of the song banged a cow bell, also tore into a few fast-paced sax parts. Wow, what a great way to end an amazing concert. Even the lesser known songs that were played during the night were good to hear. Alan Parsons Live Project will rock you two ways: traditionally and progressively.